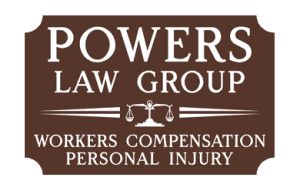 The personal injury lawyers at Powers Law Group in Macon, GA work hard to help people recover compensation in personal injury cases involving everything from motor vehicle accidents and related insurance claims to nursing home abuse and accidental death lawsuits. 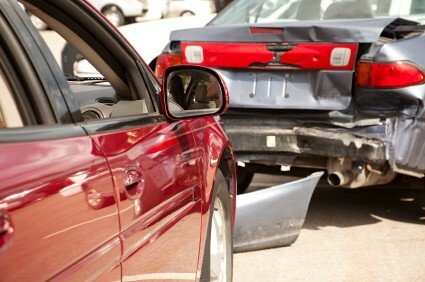 Powers Law Group has represented thousands of injury victims. 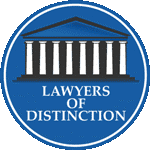 We would be honored to help you achieve justice in your case. Client was in a wreck with a DUI driver. Center for Loss and Grief: This site is designed to help people who have lost a loved one and are struggling with grief. Wrongful Death & Injury Institute: Addresses issues involving wrongful death cases and medical negligence inside prisons. Burn Survivor Resource Center: This site is being offered as the premier one stop resource center to ensure professional information is made available to the burn survivor, to the many people who are searching for critical information on behalf of a loved one, to the family and to the professionals. We hope that this site will be able to assist you with valuable advice, guidance, products and support that otherwise might not be easily available to you. Products Liability: An overview of products-liability law with links to key primary and secondary sources, from Cornell Law School’s Legal Information Institute. The Safety Report: This health and safety web site is affiliated with Injuryboard and their seasonal magazine. Nolo.com – Determining Fault in a Slip and Fall Case: Nolo is a general legal resource and the information provided discusses how to determine fault in a slip and fall case. Slip & Fall Accident Lawsuits Increase As U.S. Population Ages: Slip & fall accidents are one of the most common and, according to a new study published by insurer CNA, slip & fall accident lawsuits are expected to increase as the age of the U.S. population increases. Alliance for Justice: Alliance for Justice is a national association of enviromental, civil rights, mental health, women’s, children’s and consumer advocacy organizations. American Association for Justice (AAJ): The American Association for Justice (AAJ), formerly the Association of Trial Lawyers of America (ATLA) is the leading organization for lawyers representing plaintiffs in the United States. Center for Law and Social Policy: Center for Law and Social Policy, is a non-profit organization with expertise in both law and policy affecting the poor. Department of Transportation: The Official Website of the United States Department of Transportation. Federal Motor Carrier Safety Administration: The Federal Motor Carrier Safety Administration (FMCSA) is focused on reducing crashes, injuries, and fatalities involving large trucks and buses. Occupational Safety and Health Administration (OSHA): OSHA is the main federal agency charged with the enforcement of safety and health legislation. The National Legal Center for the Public Interest (NLCPI): The National Legal Center for the Public Interest is a nonpartisan, educational and public service foundation concerned with issues of public policy which relate to law or the administration of justice. U.S. House of Representatives: Home page of the United States House of Representatives. U.S. Senate: Official site of “the living symbol of our union of states.” Connect with Senators, and learn about Senate committees, legislation, records, art, and history. U.S. Supreme Court: Official page of the United States Supreme Court, featuring court’s opinions and orders, calendar and schedules, rules, news releases and general information. Lexis-Nexis: World’s leading provider of information management and workflow solutions to help drive profitability and productivity for legal and professional firms.